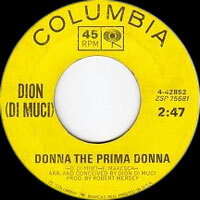 Chanteur Rock 'n' Roll US né Dion Di Mucci, le 18 Juillet 1939, originaire du Bronx (New York). Dion a débuté en 1954, dans le show télévisé de Paul Whiteman. Début 58, il forme les Belmonts avec des amis et enregistre sur Laurie Records. 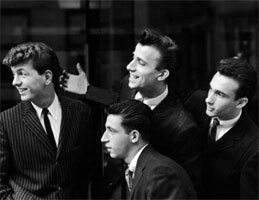 Ils deviendront l'un des seuls grands groupes blancs de Doo Wop. 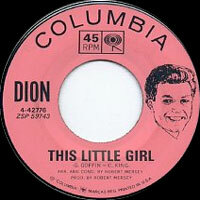 En 1960, Dion quitte les Belmonts et continuera une carrière solo constellée de succès jusqu'en 1964. Il a enregistré aussi pour Columbia (63), ABC (67), pour retourner chez Laurie (68). 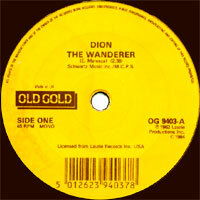 Dion est demeuré l'un des piliers de la musique du début des années soixante. 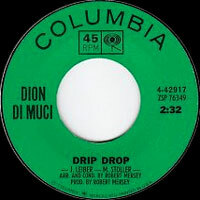 Bridging the era between late-'50s rock and the British Invasion, Dion DiMucci (born July 18, 1939) was one of the top white rock singers of his time, blending the best elements of doo wop, teen idol, and R&B styles. Some revisionists have tried to cast him as a sort of early blue-eyed soul figure, although he was probably more aligned with pop/rock, at first as the lead singer of the Belmonts, and then as a solo star. Drug problems slowed him down in the mid-'60s, yet he made some surprisingly interesting progressions into blues-rock and folk-rock as the decade wore on, culminating in a successful comeback in the late '60s, although he was unable to sustain its commercial and artistic momentum for long. 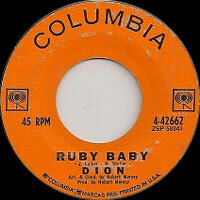 When Dion began recording in the late '50s, it was as the lead singer of a group of friends who sang on Bronx street corners. 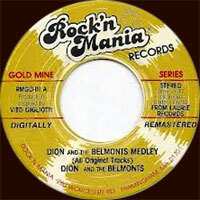 Billing themselves as Dion & the Belmonts (Dion had released a previous single with the Timberlanes), their first few records were prime Italian-American doo wop; "I Wonder Why" was their biggest hit in this style. 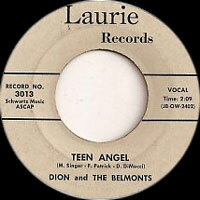 His biggest single with the Belmonts was "A Teenager in Love," which pointed the way for the slightly self-pitying, pained odes to adolescence and early adulthood that would characterize much of his solo work. 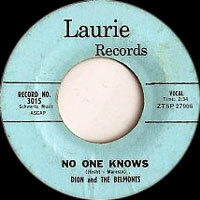 Dion went solo in 1960 (the Belmonts did some more doo wop recordings on their own), moving from doo wop to more R&B/pop-oriented tunes with great success. 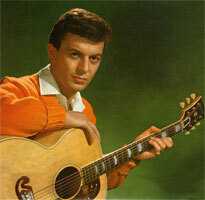 He handled himself with a suave, cocky ease on hits like "The Wanderer," "Runaround Sue," "Lovers Who Wander," "Ruby Baby," and "Donna the Prima Donna," which cast him as either the jilted, misunderstood youngster or the macho lover, capable of handling anything that came his way (on "The Wanderer" especially). 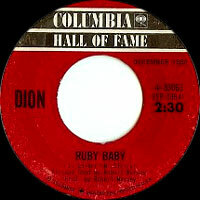 In 1963, Dion moved from Laurie to the larger Columbia label, an association that started promisingly with a couple of big hits right off the bat, "Ruby Baby" and "Donna the Prima Donna." By the mid-'60s, his heroin habit (which he'd developed as a teenager) was getting the best of him, and he did little recording and performing for about five years. When he did make it into the studio, he was moving in some surprisingly bluesy directions; although much of it was overlooked or unissued at the time, it can be heard on the Bronx Blues reissue CD. In 1968, he kicked heroin and re-emerged as a gentle folk-rocker with a number four hit single, "Abraham, Martin and John." 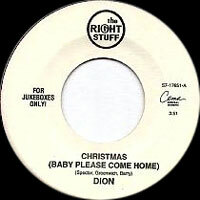 Dion would focus upon mature, contemporary material on his late-'60s and early-'70s albums, which were released to positive critical feedback, if only moderate sales. The folk phase didn't last long; in 1972 he reunited with the Belmonts and in the mid-'70s cut a disappointing record with Phil Spector as producer. He's been recording and performing fairly often in the years that followed (sometimes singing Christian music), to indifferent commercial results. But his critical rep has risen steadily since the early '60s, with many noted contemporary musicians showering him with praise and citing his influence, such as Dave Edmunds (who produced one of his periodic comeback albums) and Lou Reed (who guested on that record). 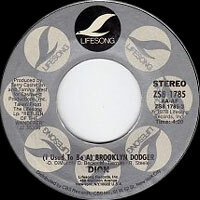 Dion continued to be active as the 21st century opened, releasing Déjà Nu in 2000, Under the Influence in 2005, and Bronx in Blue in 2006. His first major-label album since 1989's Yo Frankie, titled Son of Skip James, was released by Verve in 2007, while 2008's Heroes: Giants of Early Guitar Rock saw him tackling 15 songs from the classic rock & roll era. 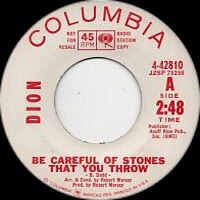 Influenced by a conversation with rock critic Dave Marsh about his long and still relevant career, and a dare from his wife Susan to prove it, Dion cut Tank Full of Blues, producing and playing the guitars himself on the recording and writing or co-writing all but one track on the set. 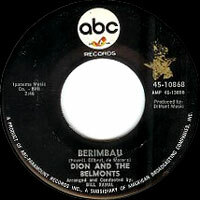 Issued on Blue Horizon, it is the final recording in the trilogy that began with Bronx in Blue. 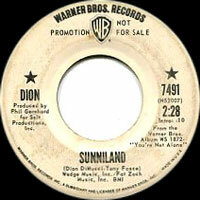 Dion signed to Instant Records in 2015 and immediately set to recording a new studio album. Entitled New York Is My Home, its first single and title track a duet with Paul Simon was pre-released in November digitally and as a striking video. The album was issued in the winter of 2016. 03/1964 SP LAURIE 3240 (US) . 05/1965 SP COLUMBIA 4-43293 (US) . 1965 SP COLUMBIA HALL OF FAME 4-33063 (US) . 1967 SP WARNER BROS. WB 7075 (US) . You Showed Me What Love Is / ? 1969 SP LAURIE LR-3504 (US) . He Looks A Lot Like Me / ? 04/1971 SP WARNER BROS. WB 7491 (US) . 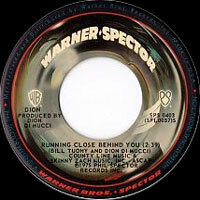 1971 SP WARNER BROS. WB 7537 (US) . Sanctuary / ? 1972 SP WARNER BROS. WB 7663 (US) . 02/1973 SP VIRGO VO-6032 (US) . 1973 ? SP WARNER BROS. WB 7704 (US) . Sunshine Lady / ? 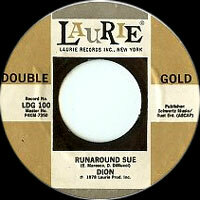 1978 SP LAURIE DOUBLE GOLD LDG 100 (US) . 1978 SP LAURIE DOUBLE GOLD LDG 101 (US) . 1978 SP LAURIE DOUBLE GOLD LDG 104 (US) . 1978 SP COLLECTABLES LDG 2118 (US) . 1978 SP LIFESONG ZS8-1785 (US) . 1980 SP ROCK'N MANIA RMGD-III (US) . 1988 SP LAURIE DOUBLE GOLD LDG 105 (US) . 1988 SP LAURIE DOUBLE GOLD LDG 118 (US) . 1994 SP THE RIGHT STUFF S7-17651 (US) . 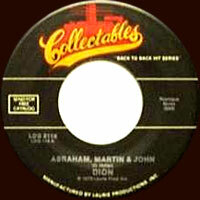 2001 CD COLLECTABLES COL-CD-9835P (US) .